Make a donation of $25 or more and receive the coloring book, certificate and a plush pup. Look for our PSA on Nickelodeon! No job is too big. No pup is too small. 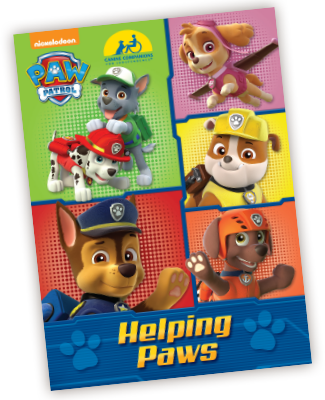 Canine Companions for Independence® is partnering with Nickelodeon’s PAW Patrol pups from Adventure Bay. The PAW Patrol are the heroes of Adventure Bay, but today they want you to meet some other heroes. The assistance dogs of Canine Companions for Independence. Have you ever wondered how a puppy becomes an assistance dog or how an applicant becomes a graduate? Here’s a great video to show the process and how our organization works. 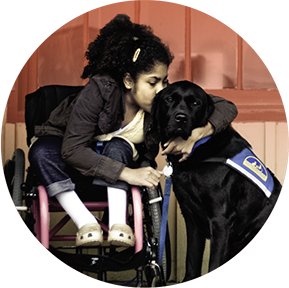 24 hours a day, 7 days a week, Canine Companions for Independence® assistance dogs are there for their human partners with disabilities. 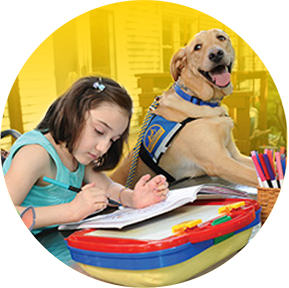 Expertly trained to perform over 40 commands these dogs help children, veterans and adults with disabilities open doors, pick up dropped items and much more. Thanks to donors like you, each life-changing dog is provided free of charge to recipients. 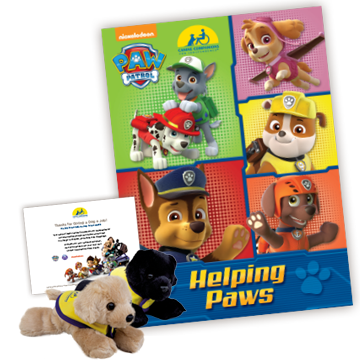 For a limited time, get a FREE PAW Patrol coloring book, or make a donation of $25 or more and receive the coloring book, certificate and a plush pup. Canine Companions assistance dogs are trained to do over 40 commands. They can help pick up crayons, assist with puzzles, retrieve a backpack and other fun things. Our dogs take their jobs seriously but they are always having a great time! Savannah plays basketball, excels in her schoolwork, is a cheerleader, studies music and dance, is a pageant winner and enjoys hiking. She manages all of this from a wheelchair, facing health and social challenges that most of us can’t imagine. Ten-year-old Matthias has a rare genetic disorder called Williams Syndrome that leads to disabilities due to deletion of genetic information. His mother Leah first heard about Canine Companions from a family friend and was amazed by what she heard. Learn more about volunteering, become a puppy raiser, attend a DogFest Walk ’n Roll event or adopt your very own official plush Canine Companions puppy training to be an assistance dog to help a person with a disability. 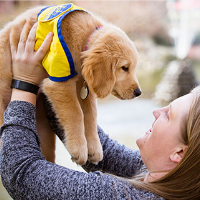 Specially bred Canine Companions puppies need dedicated volunteer puppy raisers to provide them a safe home, take them to obedience classes, serve up a healthy diet, provide socialization opportunities and give lots of love. 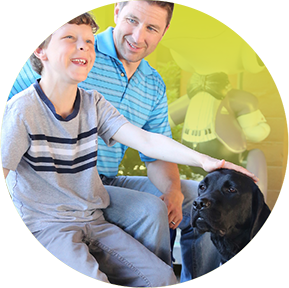 Celebrate the community of people and dogs that make it possible for Canine Companions to change lives for people with disabilities. 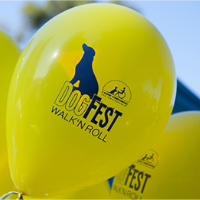 DogFest Walk ‘n Roll™ is coming to a community near you so grab your leash and get ready to have a tail-waggin’ good time! Dedicate a birthday, holiday or anniversary for donations. Get ideas and much more the DIY Fundraising Site. 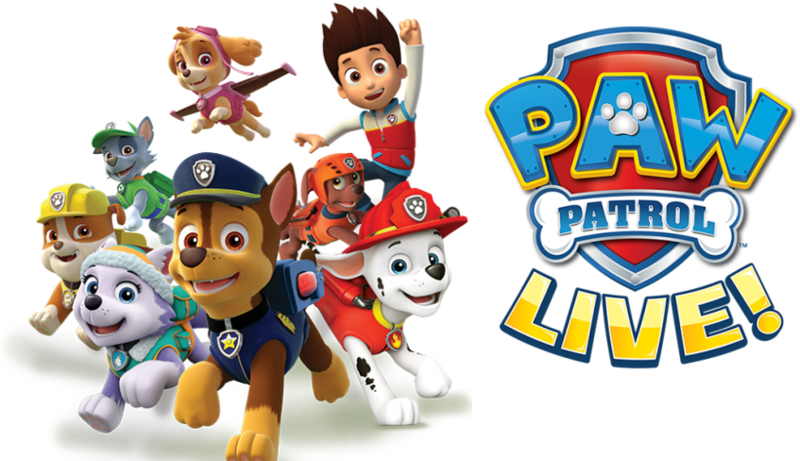 Canine Companions is joining the fun on the PAW Patrol LIVE Tour "Race to the Rescue" action stage.